Yankunytjatjara speakers live in the north-west of South Australia. Prior to their displacement by Pitjantjatjara speakers, in about 1917, Yankunytjatjara communities inhabited the “Musgrave Ranges east of Oparinna, on Officer Creek; north to near Mount Robert, east to Everard Ranges, south to latitude 28°30” (see Tindale 1974, page 212). Today, major Yankunytjatjara centres include Indulkana and Mimili. A great community led resource for Yankunytjatjara language material is wapar.net.au. A handy list of Yankunytjatjara and Pitjantjatjara (Western Desert) medical and health care terms can be found here. 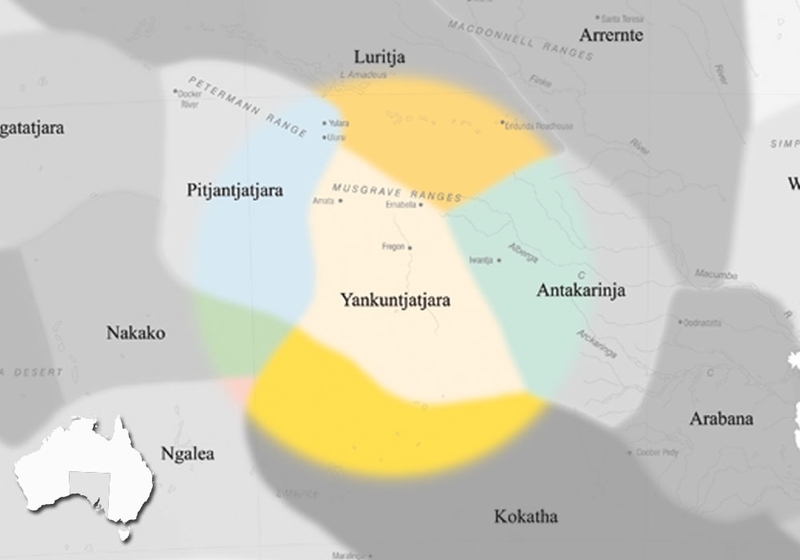 The Yankunytjatjara language is closely related to the language of the Antikirinya, Pitjantjatjara and Luritja people. Linguists typically classify Yankunytjatjara as a dialect of the Western Desert language group, which is spoken over vast areas of central Australia. Some people today see Antikirinya and Yankunytjatjara as different names for the same language. In 1981, David Nash & Kathy Menning estimated that there were “[p]erhaps a hundred speakers” of Yankunytjatjara (1981, page 34). More recently, Cliff Goddard has written of it being “spoken by several hundred people” (1992, page 93). In the 2006 Census 557 people claimed they speak Yankunytjatjara in the home, compared to 2,657 people speaking Pitjantjatjara in the home. In recent years there is concern amongst Yankunytjatjara adults that the children are growing up speaking the more widely spoken Pitjantjatjara language. In the early 1980s, Cliff Goddard conducted extensive research into Yankunytjatjara. His fieldwork formed the basis of a doctoral thesis (1983), later published as A Grammar of Yankunytjatjara (see Goddard 1985). Over the next decade, Goddard continued to study Yankunytjatjara, producing language resources for Yankunytjatjara and Pitjantjatjara communities (Goddard 1982, 1987, 1996 & 1997), as well as a number of more academic articles (Goddard, 1990 & 1992). In all of these publications, Goddard acknowledged his reliance on Yankunytjatjara language experts and advisers. Over the years, he has been assisted by Tommy Tjampu, Pompey Everard, Tjilpi Kanytji, William Wangkati, Sam Pumani and Yami Lester, among others. In more recent years, Petter Naessan has conducted research into Yankunytjatjra and Antikirinya, under the guidance of Bobby Brown and the late Mona Tur. Naessan completed a Masters thesis (2000) and a doctoral degree (2009) on different aspects of the language. He has also published papers in various journals on the sociolinguistics of Yankunyjrjatjar / Antikirinya. Naessan later worked on a MILR project with community members, particularly with Bobby Brown, to produce a Picture Dictionary in Yankunytjatjara. Yankunytjatjara has had a practical spelling system, with little modification, since the Presbyterian Mission opened a school at Ernabella in 1940. This orthography has rarely been modified. The missionaries chose to use underlining to differentiate between the two r-sounds r (the rounded sound) and r (the rolled r), which is often ignored by those writing the language. Some write the rolled r as a double rr. The underlining is also used to show the differnce between the retroflex sounds t, l and n, and the non-retroflex sounds t, l and n. Again these differnces are commonly omitted by Yankunytjatjara speakers. As Goddard notes, “fluent speakers do not need them to read and write efficiently, since only a handful of words are distinguished from one another solely by the presence or absence of a single underline” (see Goddard 1996, page vi). Many earlier explorers, anthropologists and missionaries collected examples of the local language as they entered and travelled across Yankunytjatjara country; for example Basedow (1904), Black (1915), Cleland & Johnson (1937-8) and Tindale (1957). These records are held in the SA Museum archives. Many more records, however, are recorded in the neighbouring Pitjantjatjara language. Since the 1980s, IAD Press has published a number of high quality Yankunytjatjara wordlists and dictionaries (Goddard, 1982, 1987 & 1996). The Pitjantjatjara/Yankunytjatjara dictionary is an extremely valuable resource with 3,500 head words, and many useful example sentences. It also lists words by topic, and hasds a finder list at the back. Goddard has also produced a very handy Pitjantjatjara/Yankunytjatjara pocket dictionary, which unfortunately is out of print (Goddard, 1997). As a consequence of the location and priorities of the Ernabella Mission, many of the first grammars to be produced in Yankunytjatjara country were for the closely related, Pitjantjatjara language: for example, Love (1937), Trudinger (1943) and “Pitjantjatjara Grammar” (1958). Typically, these grammars included a number of Yankunytjatjara terms. The first grammar to focus specifically on Yankunytjatjara was compiled by Goddard (1985), which gave Yankunytjatjara a welcome prominence over the past dominance of Pitjantjatjartaara as the mission language. In 1981, Goddard produced Yankunytjatjara-specific language learning material. Many more materials have been produced for Pitjantjatjara language learners. These often include an introductory comment noting that the materials are also suitable for anyone wanting to learn to speak Yankunytjatjara (see Eckert & Hudson, 1993, page 1). Much of the early literature available for Yankunytjatjara readers was published in the closely related Pitjantjatjara language. This included children’s books and a sizeable collection of Christian literature and Biblical texts. For about a decade, from the mid 1980s onward, the presence of a number of Literature Production Centres on the Anangu Pitjantjatjara Lands fostered the writing and publication of many texts in both Pitjantjatjara and Yankunytjatjara: for example Riley (1984), Weller (1984), Pingkayi (1989), Kenny (1988). Some literature was also produced by students undetaking the AnTEP program (for eample see AnTEP Students, 1995). At various times Anangu communities have also written, produced and sold community newsletters, particularly the Amata newsletter which included some creative writing in Piitjantjatjara in the 1980s. In 1995, a group of Yankunytjatjara speakers and their supporters published a book on plant use in their own language (Everard, 1995). In more recent years, Naessan produced a Picture Dictionary in Yankunytjatjara with community members such as Bobby Brown. It was produced as a language teaching resource and contains many illustrated example sentences in Yankunytjatjara. In 2001, Yankunytjatjara was one of nine Indigenous languages taught in South Australian schools as part of LOTE requirements (see DECS statistics by Wilson & Tunstill, 2001). Since the late 1960s, Pitjantjatjara has been taught within the tertiary sector. Many participants have gone on to work in Yankunytjatjara communities. For many years, the late Mona Tur was the main Indigenous language expert involved in the teaching of the university course. Mona was a member of the Antikirinya / Yankunytjatjara community, but taught the Pitjantjatjara language variety as well as her own. The Ara Irititja Archival Project: This project, established in 1994, provides Yankunytjatjara and Pitjantjatjara communities with access to historical and cultural materials. This includes providing them with copies of audio recordings in which senior members of their communities recount, in language, important events. A copy of the electronic archive was handed over to the predominantly Yankunytjatjara-speaking community at Mimili in October 2001. AnTEP Vernacular Literacy Workshop.  In 1985, the South Australian College of Advanced Education (now the University of South Australia) launched the Anangu Teacher Education Program (now the Anangu Tertiary Education Program). This program has enabled Pitjantjatjara and Yankunytjatjara speakers living on the Anangu Pitjantjatjara Lands to study towards a Diploma of Teaching qualification. As part of this course, Anangu students undertake Oral History projects and participate in a Vernacular Literacy Workshop, both of which lead to the production of Pitjantjatjara/Yankunytjatjara texts. P/Y Media.  This organisation produces electronic, visual and auditory materials for and about the communities living on the Anangu Pitjantjatjara Lands. The use and celebration of the traditional language of this region is integral to all of this company’s visual and audio productions. Radio 5NPY. This radio network, launched in 1998, broadcasts to over one fifth of Australia’s land mass. Many of its programs are in Indigenous languages, particularly Ngaanyatjarra, Pitjantjatjara and Yankunytjatjara.  Eleven communities in South Australia and Northern Territory have BRACS units (Broadcasting in Remote Aboriginal Communities Scheme). These units allow communities to produce and transmit their own radio programs. BRACS units are located in Yankunytjatjara communities at Mimili and Indulkana. Alinjera, Ankundjara, “Everard Range Tribe”, Jan-gundjara, Janggundajara, Janggundjara, Jangkun(dja)tjarra, Jangkundjadjara, Jangkundjara, Jangundjara, Jangwundjara, Jankundjadjara, Jankundjara, Jankundjindjara, Jankuntjatara, Jankuntjatjara, Jankunzazara, Junkunzazzara, Kaltjilandjara, Kulban(dja)tjarra, Nankundjara, Wirtjapakandja, Wirtjapokandja, Yangundjadjara, Yangundyadyara, Yankundyari, Yankunjara, Yankuntjatjara, Yankunytjatjara.